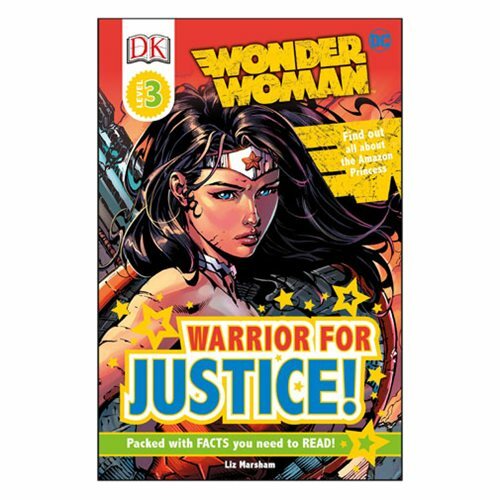 Enter the wonderful world of Wonder Woman and explore the world of Amazon princess Diana Prince with the DC Comics Wonder Woman: Warrior for Justice DK Readers 3 Paperback Book. The book takes a close look at the character of Wonder Woman and her superpowers, friends, and enemies with a mix of narrative and genre spreads, encouraging children to access information from a range of sources and develop comprehension skills. The 64 page book measures about 9-inches tall x 5 9/10-inches wide.